It’s been quite a year for me. 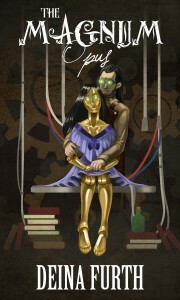 I published my first piece, a novelette called The Magnum Opus. 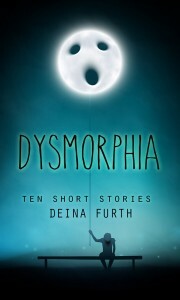 I published a collection of short stories, Dysmorphia. I was featured in two anthologies, Murder Stories and The Woven Tale Press August 2014 Issue. I started a short story and flash fiction site with fellow author Mary Papas, and we released our first anthology Reunions in December. I won NaNoWriMo for the first time ever, but my story is getting the Dave Farland treatment right now. (I HIGHLY recommend his courses, by the way. Dave is a fantastic writer and he’s an expert at what he does. Plus, he’s kind and encouraging. Perfect for introverts who are nervous about showing a respected expert their work.) A long, long way to go on this piece. NaNo was just the beginning. And I wrote a few flash fiction stories here and there, some of which are on my site. I have a number of things written, hidden away on my computer that I’ve never let see the light of day (and that may never see the light of day, but I can’t seem to delete them for good). Some short stories as well as two novels in various stages of completion. And bad poetry. Very bad poetry. This is all good news for me. Just a year ago, I was deciding whether or not I wanted to share my work with the world. I’ve been terribly introverted for much of my life, although I’ve had periods of creative confidence before. Looking back, I realized those brief periods were the happiest times for me, and even though I was terrified, I looked for a way to get back to that happiness again. I got a taste of it last year. Looking back, I’ve accomplished a lot. But I want more, as most perfectionists do. So, for this year, I’m going to amp it up. I’ve made a list of goals that I’m going to be working on, and I want to share them with you here. Blog 1x/week. I’m terrible at this; and I’ll be the first to admit it. I work full-time at a marketing company, and I write basically all day. It’s hard to come up with unique blogging ideas after writing about plumbers and psychics and how to better engage with your small business customers. But I’m going to try harder to focus my thoughts into blog posts for myself this year. Video series. I love editing videos. Like, if I didn’t write, I’d animate things full-time. I want to start talking about writing and being creative with other authors, and use this as an opportunity to work more with visual media! Podcast. Repurposing the audio from the video series, I’d like to start a podcast. It’s a great marketing tool and a wonderful way to connect with other authors. Finish Resurrection Men manuscript. I am so excited to share this story with the world. I love it. It’s gritty, dark, early Victorian. It’s got intrigue, thriller-esque properties, black humor, action, and sexytimes. And ghosts. And mad doctors. And all that good stuff. But I’m going the traditional publishing route with this one, so it’ll be a long time, I’m sure, before I get someone to hawk this for me. However, I’ll definitely blog about the progress and offer excerpts, etc., here! Publish a short story collection each quarter. Sounds ridiculously difficult, but it’s not. I just have to force myself to sit down and actually do it. I wrote Dysmorphia in a week. That’s not a pace I can keep up regularly, obviously, but if I can do that, then I can write a collection once every three months. Read more. I’ve been doing a great job at this lately, and it’s helped me be so much more productive. Ideas are flowing! Continue to develop the SSFFS site with Mary. (We’ve already got lots of ideas in the works!) Honestly, the site has had a lot more interaction and success than I’d anticipated this early on. I’m really excited to see what else we can do with it! What are your goals in the new year? Have you accomplished all you wanted to in the last year? 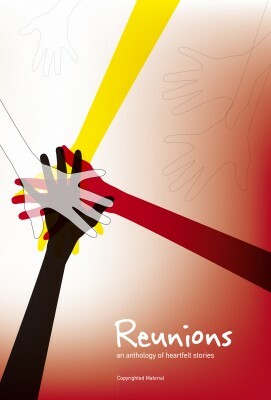 ← “Reunions” Anthology Now Available! LOVE that you are going to be publishing more short stories on your own. 1 short story per quarter? Good for starters but you can publish even more (food for thought). The idea of the podcast is brilliant too. (Have to talk about this in detail). Thanks, Mary! Yes, we have many secrets right now, but I’m so excited about all the potential we have for this new year 😉 I have to get over the fear of hearing my own voice to do the podcasts and videos. I really want to do them, of course, but I’m nervous!